Picasso Marble is a type of marble, a calcium magnesium carbonate mineral. Picasso Marble is found in Utah. Identified by its combination of browns, blacks, grays and white colors, each piece is different. 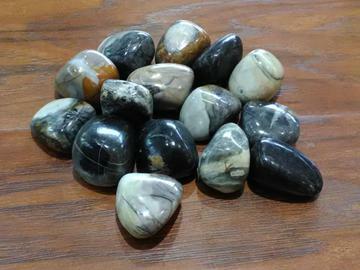 Picasso Marble is sometimes called Picasso Jasper. It has qualities of grounding and calming, and is helpful for anxiety and stress. It also helps with weight loss.